|| I love peeking into fashion designers' homes. 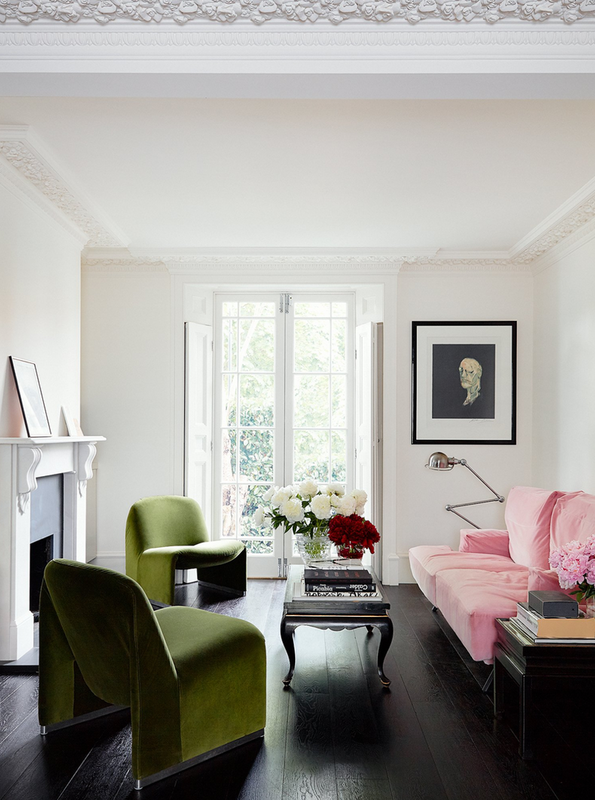 Simone Rocha's London Apartment is a feast for the eyes. I'm loving her art collection. || If you want to do a little home accessory shopping you can save 20% through Sept. 5th with code LABORDAY16 over at The Zhush I have been pining for one of these small and colorful vases forever. Malachite boxes! || Furbish Studio is also having a Labor Day Sale. 15% off everything with code: LABORDAY15. Loving this basket with colorful pompoms and this cool desk lamp. || Love the ruffled sleeves in this tee and these black floral plates are spectacular. || I'm thinking I need these black goblets to set some dramatic tables this fall ($27 for a set of four!). || Loving this vegetarian cookbook. I just tried the cauliflower soup recipe and it was divine! Love the mats and the black goblets! :) Thanks so much for sharing. Hope you have a fun and safe holiday weekend! Hopefully, our temps will soon change a bit for the better. I love fall ~ my favorite season! Simone Rocha's apartment is gorgeous, and I love the vases at The Zhush! Enjoy your holiday!